Small house removals, large house removals, flats and studios, we can help with any type of Oxford removals. We'll make your life easier by helping with storage through our storage partnerships throughout Oxfordshire & the UK. We can cater for SMEs and large businesses, offering an efficient service and excellent value. We offer discounts for third-sector organisations such as social enterprises, charities and non-profits. Call to find out more. We've got many years of experience providing student removals in Oxford. Our team can help you with packing your belongings so you don't have to. For a great value for money man and van service in Oxford, look no further. 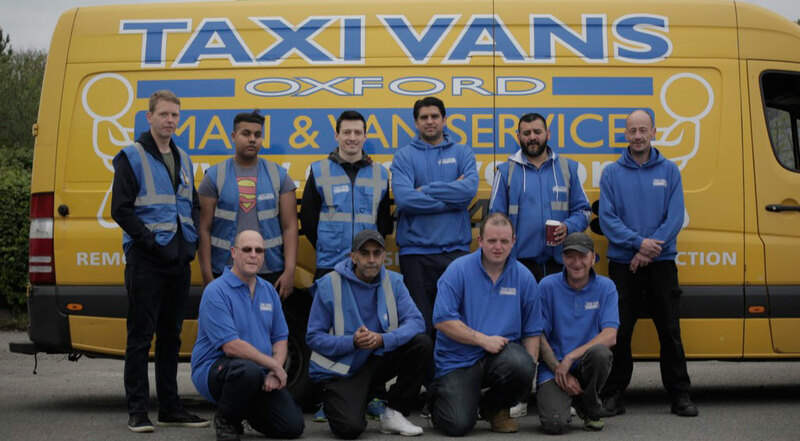 If you need a friendly, yet professional, removals company in Oxford then look no further than Taxi Vans Oxford. We've been established in Oxford for over a decade providing Oxford removals and storage in Oxford for homes, business and for anything we can help with. Big or small, we move it all! Get a removal quote now or give us a call on 01865 77 44 88 and we'd be happy to help. We're always happy to answer any queries you might have, just give us a call on 01865 77 44 88. We can provide a man and van removal service, a complete removal and storage service with packing if required for a room / flat / home or office quickly and easily. Every year our helpful & experienced staff help thousands of local residents and businesses with removal solutions for every occasion. Single item moves, Piano removals, residential relocation, office removals, packing services and more. Look out for special rates on removals from Oxford to London, Oxford to Birmingham, Oxford to Reading, Oxford to Cambridge & Oxford to Brighton. Let Taxi Vans Oxford take the stress out of your move. Removals and storage in Oxford, Abingdon, Witney Bicester, Reading, London, & surrounding towns. Removals can be priced hourly, by mileage or a fixed price. Storage is provided in a secure self storage centre with 24hr access. We offer short & long term storage, a pick up & delivery service and offer full insurance on all removals & storage. "Helpful, friendly and amazing team. They are on time, quick and excellent workers. Just tell them what do you want and let them do it in a professional way."